Prepare the Coriander Rub by grinding the ingredients into a coarse consistency. Crust the Corvina Filets with Coriander Rub. Dust the Crusted Corvina with flour to protect the crust. A meal is not a savory meal without the corvina fish. Corvina which is also known as the corvina drum or cilus gilberti, is a saltwater fish. The body is of a blue-grey color to the top, silvery overall with small scales. It is very long and somewhat compressed in shape. It has a large mouth and a dorsal fin that is deeply notched between spiny and soft parts. It is approximately 75 cm or 30 inches long. It originates from the Sciaenidae family. It is usually located in the tropical to temperate coastal waters of the southeastern Pacific along Central and South America. The corvina is a prominent fish in South America in Peru, Panama and Chile. The corvine has a white and flakey texture. The corvina has firm, large flaked flesh which is pinkish when raw but is white when cooked. When cooked, it has a mild sweet taste. The various cooking methods of corvina include grilled, baked and fried. It is a very famous choice for ceviche. The flesh of the corvina looks like the Snapper. In South America Corvina is known to be the prime table fish. It is available all through the year but it is more in abundance from April to October. 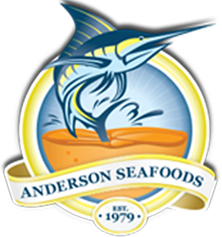 When searching for corvina fish, go to andersonseafood.com. They are an efficient and reputable online store in importing, processing, custom packaging and distributing all varieties of fresh, frozen and live seafood products to any client. The fish supply has an excellent source of protein and healthy nutrients, including Omega 3. The staff are very knowledgeable and can cater to all seafood needs. Visit their online store today and request the best and fresh corvina fish to prepare for a savory and delicious meal.